The PlayStation Store leaked the new Call of Duty, so it’s only fair that Xbox get to leak the new Battlefield. This morning, that’s what happened, with the above image (showing character art from the new game) popping up on Xbox Live as part of an advertisement for the reveal stream. UPDATE - 4:15pm: This post has been updated with information based on the official EA reveal. The game’s got tanks, biplanes, horses. Bayonets. Flamethrowers. There’s 64-person multiplayer as well as a single-player campaign. The campaign will go to Arabia, Italy, and France, among other areas. Sounds like they’re aiming for realism. EA also announced an “Early Enlister Deluxe Edition,” on sale for $80, that will be out three days early, on October 18. The character on the game’s cover appears to be a Harlem Hellfighter. I think it’s safe to assume that there won’t be any magic, despite the main character looking straight out of Doctor Strange. 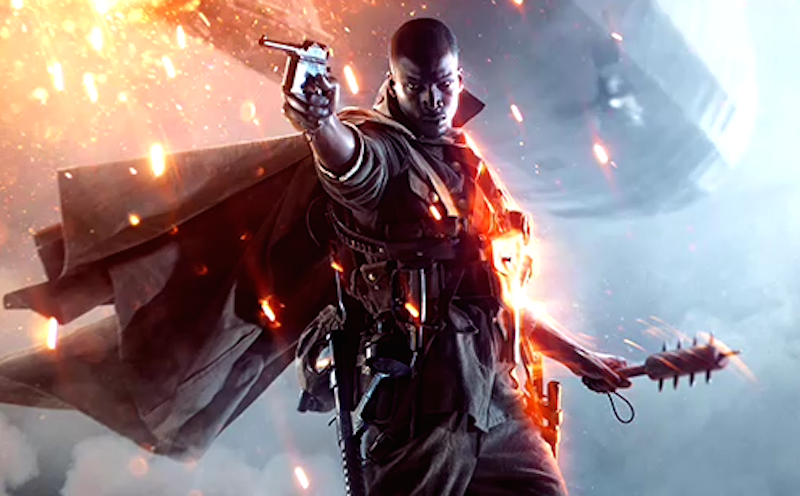 Correction - 2:30pm: An earlier version of this story stated that, as had been rumored, the new Battlefield would be set in an alternate-history version of World War I. We apologize for the error.